These Crag Rats are enjoying a much deserved rest atop Mt. Hood on May 26, 1940. This is a hand colored image from the Arne Udelius album. The climbers are identified as Geo. Sheppard, Earl? King, Irwin Laurence, Bob Fuller and Ron Dreske. That is George Howard Sheppard here in the front in the red and black checked Crag Rat shirt. Wonder why it is tinted that color. Crag Rat. Don't know if Ron Dreske was or not. He was a Hood Riverite, who was the son of Ed and Nana (Gerkhing) Dreske. This photo had to have been taken in the early portion of the climbing season as that old look out is pretty well still imbedded in the snow. They needed this relaxing time as it was 1940 and before long they would be involved in something that was not fun or relaxing. Know that Dreske was a PFC in WWII. George Sheppard was in the Pacific during the war and also went to officers candidate school. I admire those that can hike to 10,000', I only attain that altitude by car on the Colorado highway passes (and hike 1000' more to 11,000'). Leadville is one of my favorite towns, the highest in the nation at 10,000'. Climbing can take its toll. Going up and down numerous times can have a damaging effect on ones heart. It is my understand that that is what happened to Mt. Hood guide, Mark Weygandt. Sometimes he made two trips to the summit and back the same day. Over the years it definitely took its toll and that is why he died very young. It is also thought that the dog Ranger was affected in that way, as he sometimes made two trips up and down on the other side of the mountain. Lije Coalman made more climbs than anyone else and had no heart trouble. He made his first climb in 1897 and his last in 1928, a total of 586. 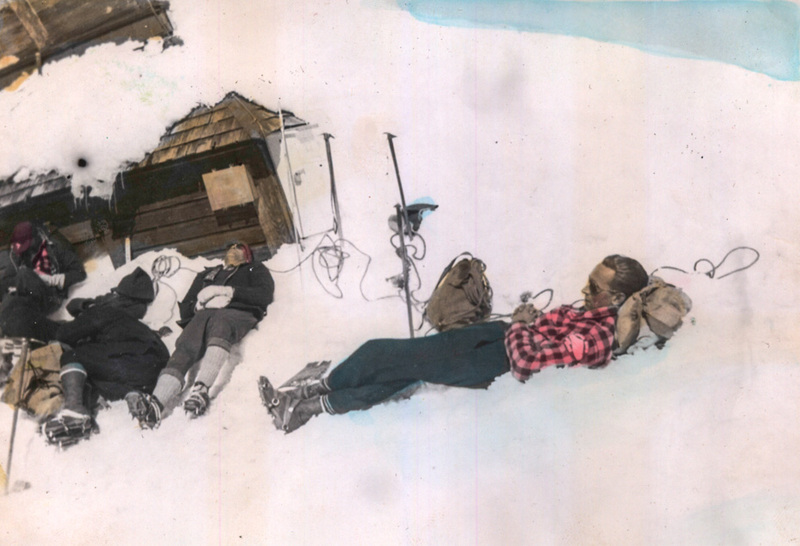 He also carried the materials to the summit for erecting and manning the fire lookout and rescue building. Humans can live up to something like 18,000 feet without health problems. Stay long above that altitude and one may acquire persistent altitude related health problems.